P.O.P. 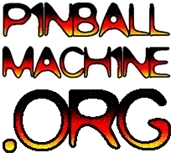 – Pinball Outreach Project will make its official introduction to the pinball community at California Extreme (http://www.caextreme.org/) in Santa Clara, CA July 28-29, 2012, using a Transformers LE with a remote flipper modification “box”. This adapted pinball machine has flippers on top and sides of the box so they can be controlled from a wheelchair, or even a hospital bed (with a monitor hookup). Click here for the full Press Release.